Executives, managers and highly-skilled professionals require a different approach to getting back to work after injury or illness. 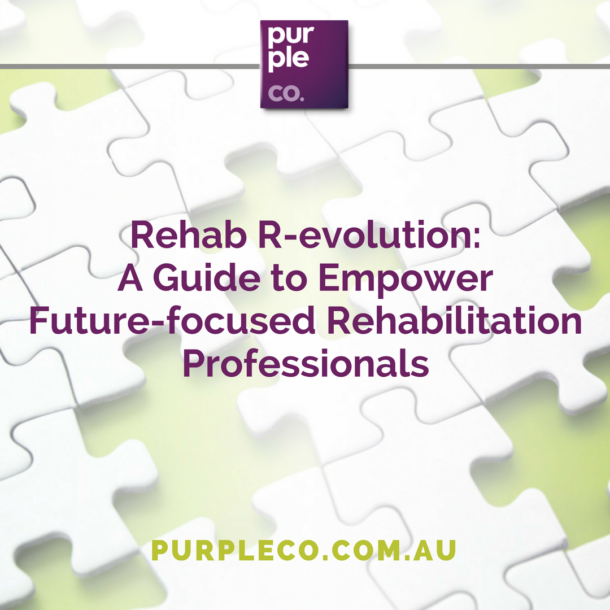 At Purple Co, we’ve developed a range of programs, coaching and assessment tools to help clients get job ready and successfully re-enter the workforce. With over 20 years of experience in this field, we know first-hand that the standard approach to job seeking doesn’t work for high-level professionals. In this sector the stakes are higher, leveraging your network is essential, and finding and securing appropriate work after a health event is incredibly difficult. To put it bluntly: a new resume and a look at some job ads just won’t cut it. That’s why Purple Co takes a different approach. We help executives, managers and skilled professionals manage the effects of illness or injury on their health and their ability to return to work. Our team of qualified coaches and consultants are experienced in working with high-level executives and professionals to create a bespoke plan for job preparation, work readiness and canvassing that aligns with each client’s industry, their abilities and their unique skill set. If you are wondering how we can help, please get in touch to ask how we can create a unique plan that suits your needs. If you have a client who is an executive (including “C Suite” professionals), a manager or a high-level technician, we’ve developed a program specifically tailored towards helping them manage their health event and re-entry into the workforce. From health management, to decision-making right through to placement and maintenance, RE-IGNITE is designed to help highly skilled, experienced or executive clients re-enter the workplace and stay well when they do. Want to learn more about RE-IGNITE?